The September 5th Foundation will be holding the 8th Annual Memorial Day Ride on Sunday, September 4th. The ride, which will commence at 2:00pm at the City Hall in Hamilton, will head east to the Memorial Bench on Kindley Field Road, St. George’s for a short tribute and remembrance. The ride will then proceed to St. George’s before finishing at the Prospect Police Recreation Club where the Commissioner will host a reception with some light refreshments. The September 5th Foundation, a registered charity, was formed to create an endowment fund to assist in the post-secondary education of the children whose parents and grand-parents were lost during the tragic events of Hurricane Fabian in 2003. 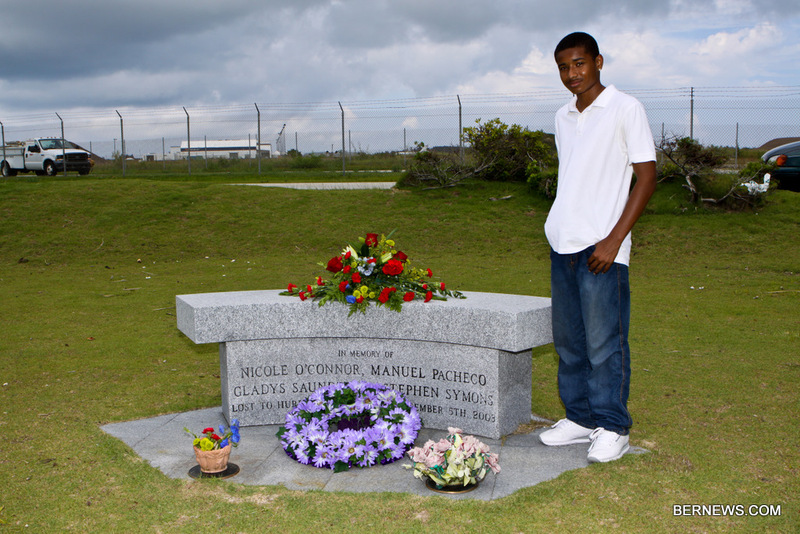 Police Officers Stephen Symons, Nicole O’Conner, Station Duty Officer Gladys Saunders and civilian Manual Pacheco tragically lost their lives on the Causeway at the height of the hurricane. The initial beneficiaries of the Foundation’s efforts are the surviving children and grand-children of the victims, Zen-Paul Pacheco, Stephen Symons Jr.[pictured], Kayuntae and Nazyia Saunders. Going forward, the Foundation will assist children of any future victims within the Bermuda Police Service ‘family.’ Providing sound educational opportunities and aiding in the development of productive young citizens is perhaps the greatest legacy the Foundation seeks to create on behalf of the victims and it is something the Foundation, with the support of businesses and residents, is determined to achieve. The Foundation encourages friends, family members and concerned residents to participate in the ride, or join us at the Memorial Bench for a short memorial tribute or at the reception afterwards. Limited edition, unique commemorative pins will be available for purchase on the day. The Foundation welcomes further contributions to their cause. Cheques can be made payable to the September 5th Foundation and mailed to the Foundation c/o PO Box 530, Hamilton, HM CX.